January 11, 2019 3:02 pm. 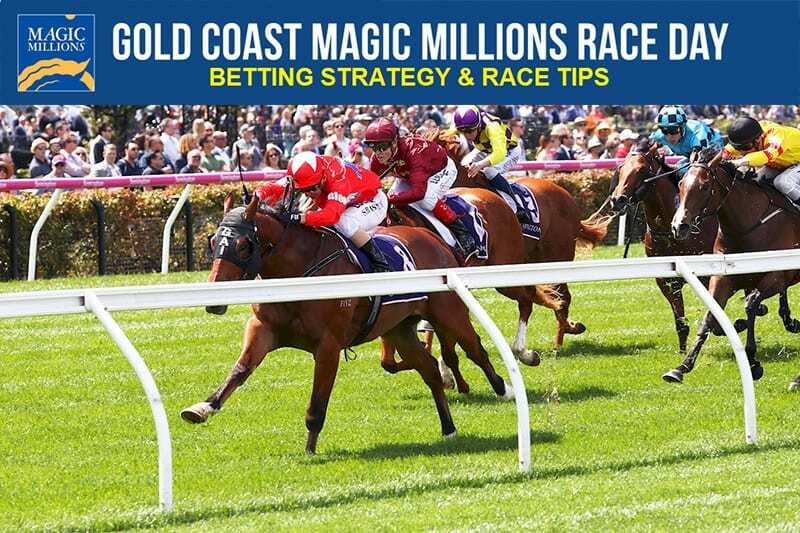 THE Gold Coast Magic Millions Race Day is finally upon us and the team at Horse Betting HQ has been buzzing. Could we see the next Winx among this batch? There’s no telling where these juvinelle runners will end up down the track so sit back and enjoy the show. Our expert has run his eye over all nines so you didn’t have to. Take a look at the tips below for what promises to be one of the most exciting race days of the year. Terminology has been knocking on the door of a win this preparation and looks well suited to breaking through here. This campaign the filly has placed second twice over three runs including a length and a half defeat in the Gosford Guineas as a double figure outsider. From a middle draw here the Waterhouse and Bott runner should be well suited to delivering a breakthrough win. Miss Toorak Flyer is a mare with a a ton of upside, as evidenced by a strong resuming win at Cranbourne over the 1000m on November 30. Since that run she went to Randwick and finished less than half a length away from Deprive in a strongly ran race as a $19 outsider. This race looks nice for her and we’re backing her in to deliver. A wide barrier is the only concern here for consistent type Mishani Bullitt, who can surprise in this one. A record of four wins and nine placings from 25 starts suggests this horse is more than capable, and in a field where nothing really stands out we’re expecting a strong showing. The horse will appreciate the drop in weight and will be hard to beat over the 1300m.